Provide comfort for the family of Sariel Ablaza with a meaningful gesture of sympathy. Sariel G.G. Ablaza M.D. passed away after a long illness at home in Moorestown, New Jersey on January 14, 2019. He was born in Hagonoy, Bulacan, Philippines to Paciencia Gutierrez and Cipriano Ablaza. Sariel graduated from the University of the Philippines, College of Medicine in 1951, and completed his Thoracic Surgery residency at Hahnemann Medical College and Hospital in Philadelphia, and Maryland General Hospital in Baltimore. He specialized in Cardiac and Thoracic Surgery and had a long and distinguished career practicing in Philadelphia and New Jersey. and interests included gardening, poetry, raising orchids and cooking Filipino food for his family and friends. Sariel is survived by his wife, Andie (Braunstein), and their daughter Alixandra. He is also survived by his children from a prior marriage, David (Alyssa), Brian, Sheri Locarno (Mario) and Valerie, and by grandchildren Caitlin Ablaza, Brendan Locarno, Marco Locarno and Luke, Thomas, Mary, DJ and Nicky Ablaza. He was preceded in death by his sisters Elsie Ablaza, Leiwayway Garcia and brother Ismael Ablaza. 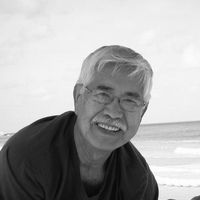 His surviving siblings Nora DeLeon, Lulu Samin and Lydia Lu share in our loss. A special thanks to his loving caregiver and friend, Maria LaTouche-Davis. Sariel leaves behind a large and loving extended family here and in the Philippines. His family and friends will miss his generosity, sensitivity and intelligence. Ashes will be distributed to his family. In lieu of flowers, contributions can be made to: UPMASA (Ablaza Professorial Chair), C/O Dr. Chelle Jose, 815 Marlowe Road, Cherry Hill, NJ 08003. The family will be receiving visitors at the residence on Saturday, January19th from 12-4pm. We encourage you to share your most beloved memories of Sariel here, so that the family and other loved ones can always see it. You can upload cherished photographs, or share your favorite stories, and can even comment on those shared by others.